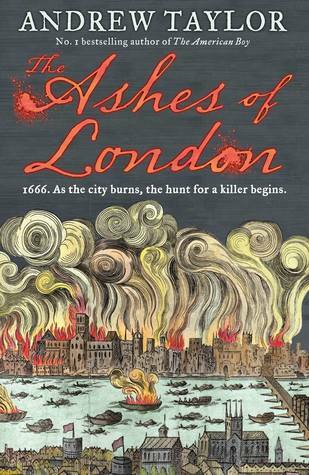 Its London 1666, The great fire of London is roaring trough the city. When the fire reaches St Paul's Cathedral it is taken by the flames. Once the fire has passed a body is discovered this body however, is not a victim of the fire, this is murder. The body has been mutilated and his thumbs tied behind his back. Marwood is tasked with finding out who this man is and who killed him. His investigation leads him into dangerous waters and the further down the rabbit hole Marwood goes the more danger and secrets he discovers. This book was chosen by my book club and i must admit when i first read the blurb i wasn't to impressed i didn't think i was going to enjoy it. I did however really enjoy it. I found it really grabbed my interest and kept me wanting to read more and more. I found myself really invested in the characters and what was going on in each of their lives. I gave this book a 5* rating on goodreads. I would very much recommend this book for anyone looking for a great historical, murder mystery novel.